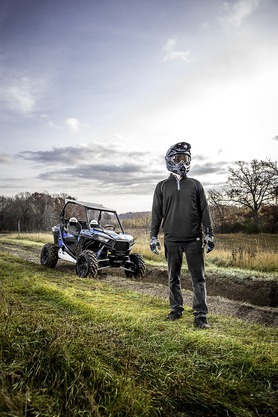 Enhance your comfort and add protection and style to your Polaris® RZR® XP 1000 with this RZR® Poly Sport Roof. It installs quickly and easily into an integrated mounting position in the RZR® frame using Lock & Ride® technology. Enhance your comfort and add protection and style to your Polaris® RZR® XP 1000 with this RZR® Poly Sport Roof. It installs quickly and easily into an integrated mounting position in the RZR® frame using Lock & Ride® technology. It provides shade and reliable overhead protection from the elements, and it has water management channels to direct water away from the cab area. 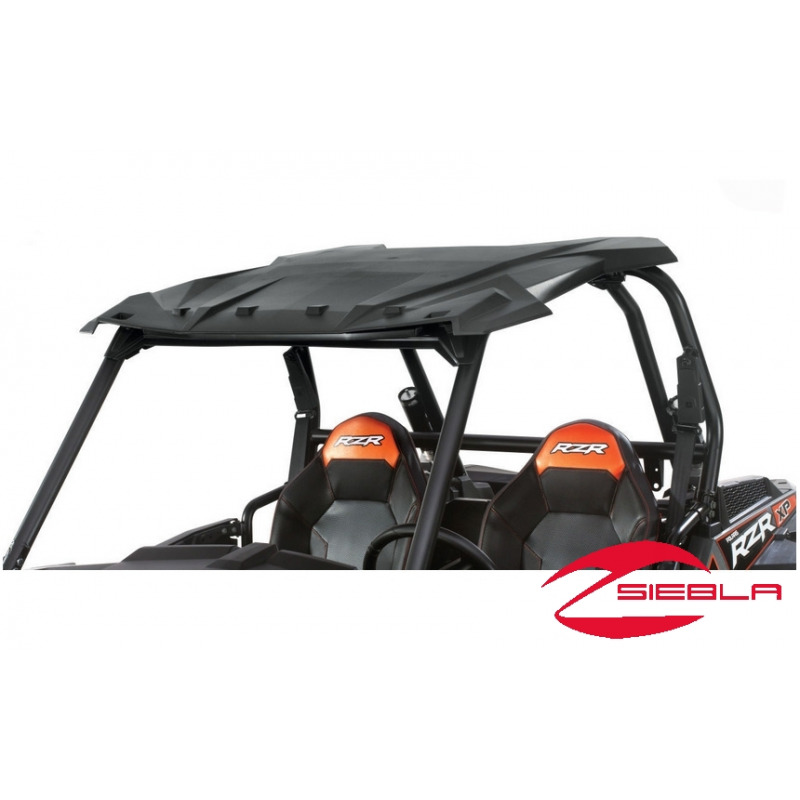 The RZR® Poly Sport Roof features injection molded construction that is strong and durable and provides the ultimate in style and fit and finish. It is structured to eliminate distortion in high heat environments. Prevent leaking and pair this roof with a full Polaris® windshield. This black roof is textured to match the RZR® ’s plastic components and the front edge of the roof serves as an integrated sun visor for enhanced comfort and visibility. This roof features designated mounting locations for LED headlights and a taillight kit, and it can be used with a wide variety of Polaris® RZR® accessories, including windshields, rear panels, audio systems, RZR® mirrors, RZR® light bars and more (each sold separately). Installation: Roof installs in minutes in designated mounting positions on the RZR® XP 1000 frame using Lock & Ride® technology. Includes: Poly Sport Roof and mounting hardware.